We created the prenatal cut-out option to support all the stages of pregnancy. The adjustable padded, abdominal sling supports the round ligaments in the pelvis to keep your expecting clients and their growing bellies enveloped and comfortable. Fitted Plugs are included to replace the belly and breast cut-outs to return your table back to a flat working surface. *Breast recesses are included in our prenatal option. 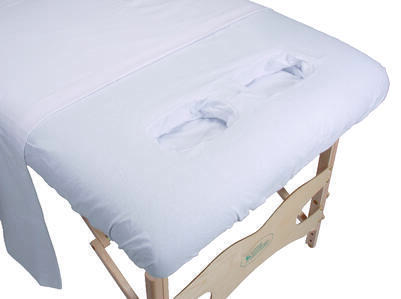 This table option was originally developed as a part of our prenatal option to reduce pressure on sensitive breast tissue during pregnancy while receiving a prenatal massage. It didn't take long before we found it to be ideal for any client because it reduces pressure on the breasts and reduces tension in the back. The recesses allow for compression-free positioning that facilitates a relaxation response from the client because they don't have to strain to find comfort in a prone position. This also makes the massage work easier on the therapist as you don't have to work against the strain. The used in supine positions, the chest opens up, scapulas drop into the recesses and access becomes easier for the therapist. *Closeout Special - click here to view. 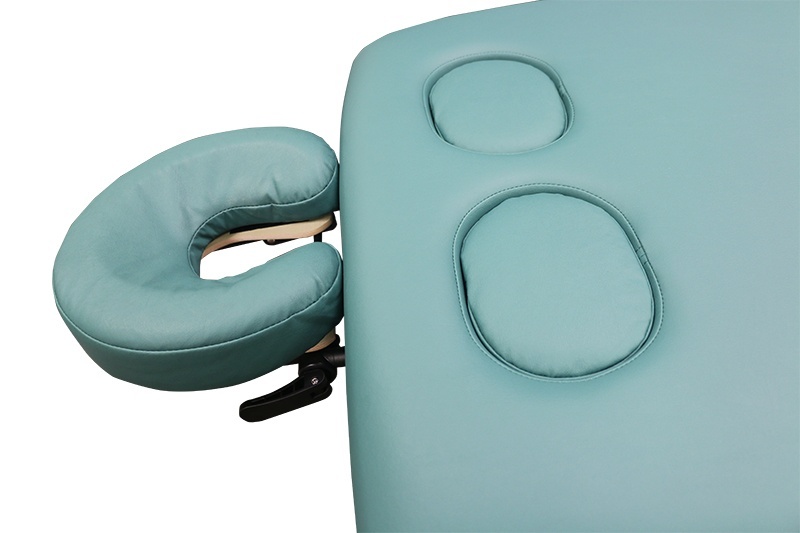 Which Custom Craftworks Massage Tables are these options available on? 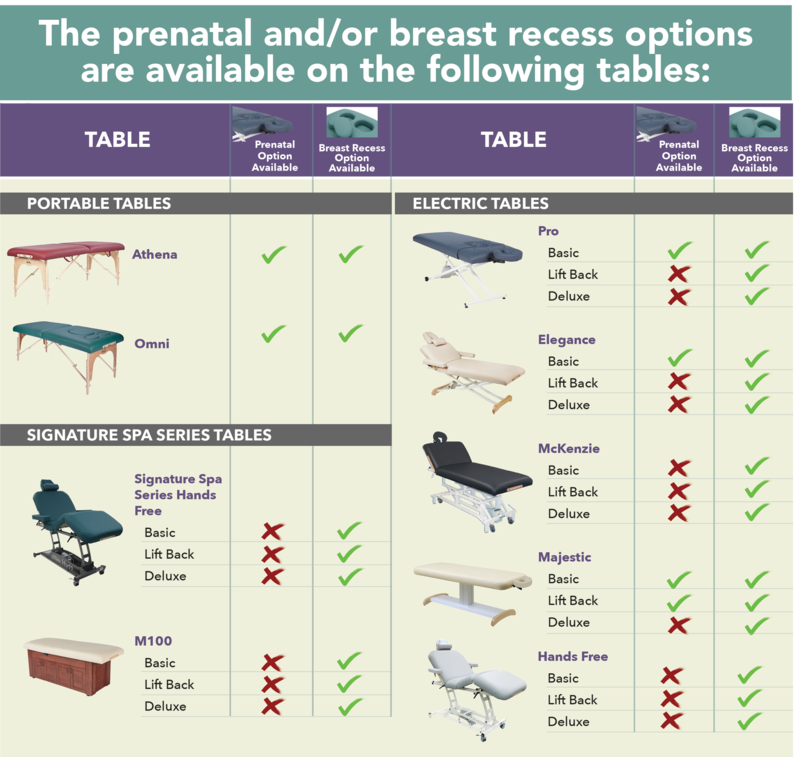 *Click image to view prenatal/breast recess option infographic.